This is a special blend of the great Indian spices which truly makes The Masala Chai or Chai Latte as it is also popularly called. 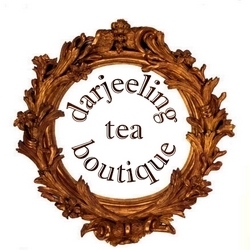 It is a blend derived from the traditional commingling of the Indian spices in perfect proportion to make a satisfying cup of Masala chai which has all the richness of freshly grounded cardamom, clove, ginger, and cinnamon, in right proportion with the premium second flush Darjeeling black loose leaf tea, which produces a recipe having a lasting and refreshing effect. 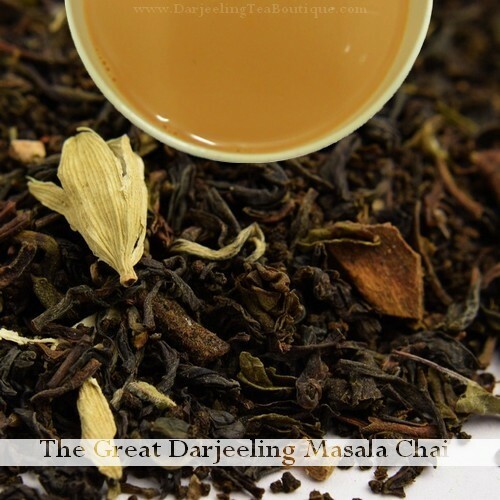 Unlike other black teas, this Masala chai is brewed like a traditional India tea with a mix of water, milk, sugar and the tea leaves put to boil for a few minutes. For a cup (200ml) of Masala Chai, 2gm( a tea spoon is to be added, along with milk and sugar to taste and allowed to be boiled till the color of the liquor changes from light brown to mid dark brown or till the liquor starts to produce the refreshing aromas of the spices. It is then strained and served hot.